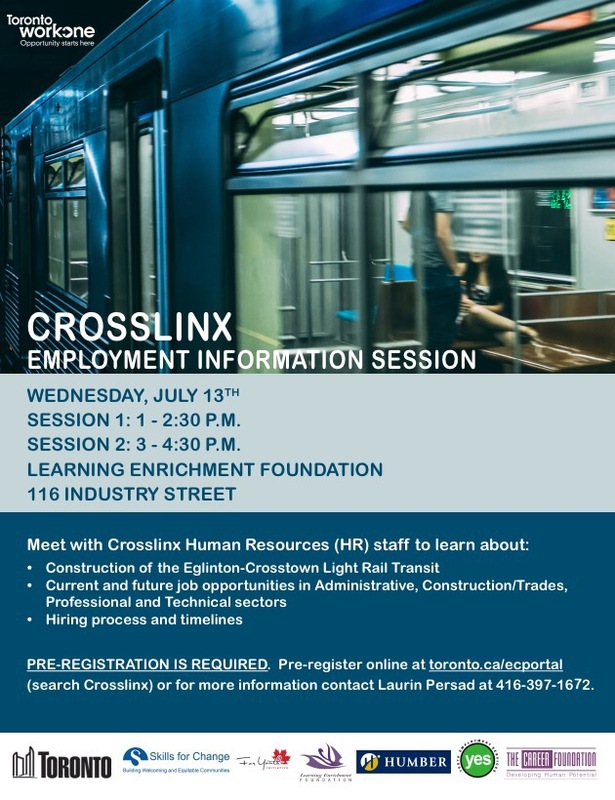 Crosslinx, the company behind the Eglinton LRT is looking for Weston and Mount Dennis residents for a job information session. HR staff will be on hand to help residents out with job postings and deadlines. You must preregister for Wednesday’s session.